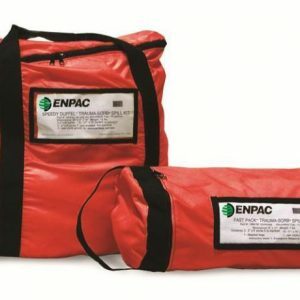 Absorbent kits protect medical equipment, staff, and the environment in emergency esponse conditions. Provides absorption protection for saline, sterilants, blood and other body fluids. Convenient nylon handles and straps provide easy transport and response. Refills available. Trauma-Sorb® used by permission. 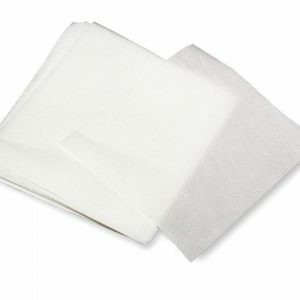 The TRAUMA-SORB® heavy weight trifolded flat sock is made with a durable white cellulose material. This product can be unfolded to 11.5” wide to contain spills on floors or other surfaces. 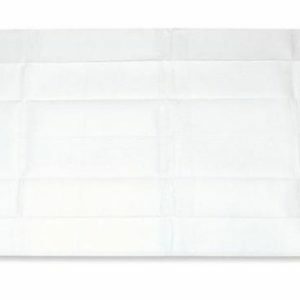 The TRAUMA-SORB® operating room mat safely absorbs blood and other body fluids in your operating room, emergency room or wherever large spills may occur. 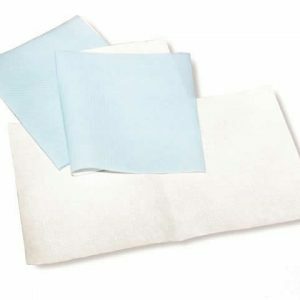 The TRAUMA-SORB® heavy weight medical pads are made with expanded cellulose to absorb spills quickly and easily. 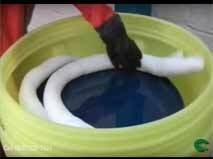 This product provides absorption protection from spills and can be used to cover work floors and surfaces. 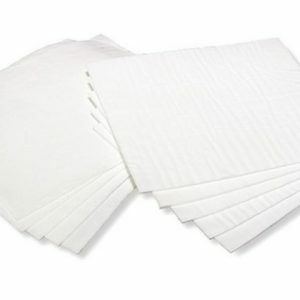 The TRAUMA-SORB® heavy weight trifolded flat wipe is made with a white embossed cellulose fiber. Unfolded it becomes a 11” x 12” (28x30cm) wipe. 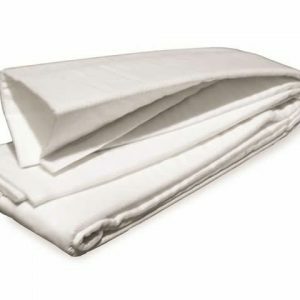 It can be used to clean non-sterile equipment or for general purpose use to absorb and wipe up spills.